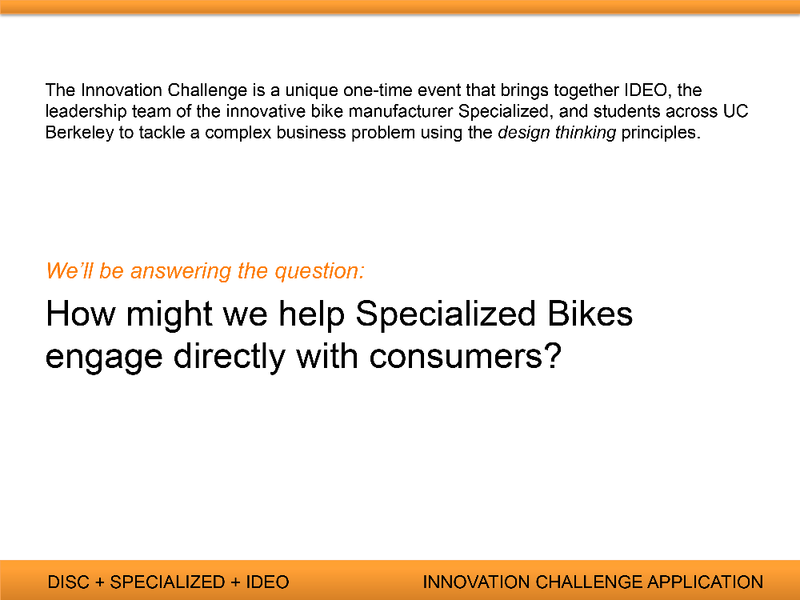 Project: How might we help Specialized Bikes engage directly with consumers? On a team of five I developed a proposal for Specialized Bikes to reach more everyday cyclists. Our proposal was informed by interviews with bike store managers as well as current bikers and non-bikers. Through these interviews we identified safety and confidence on the road as key barriers to entry. In the course of the day-long challenge, we went through a condensed version of IDEO’s design process with feedback from IDEO staff. The day culminated with us sketching out and presenting a proposal to help people build confidence biking on the road through studio-based classes. 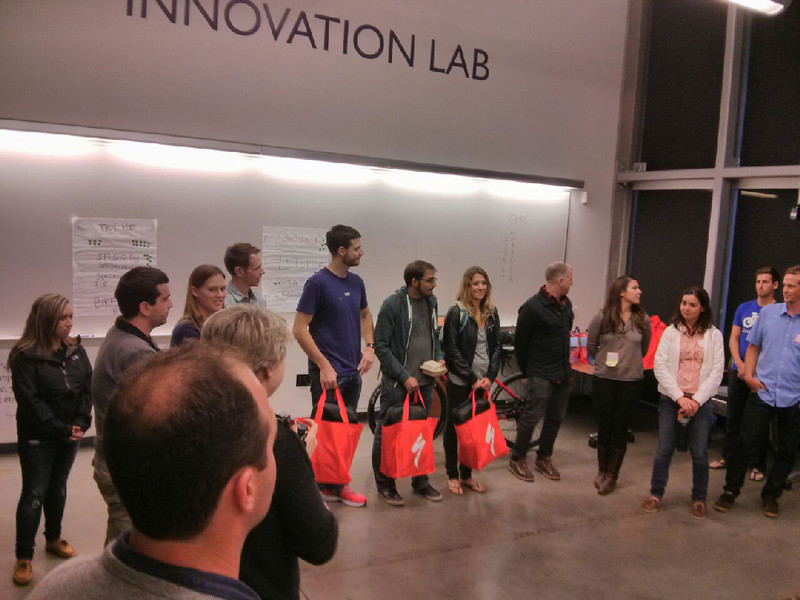 Our team won the competition and was selected to be presented to the CEO of Specialized!